Mission Statement Celebrating the diversity of our community as a whole, and inspiring equality in the heart of Arizona. Services and Projects Help other organizations in the community, educate others about the LGBTQ community, and outreach to those in the community who may need our assistance. 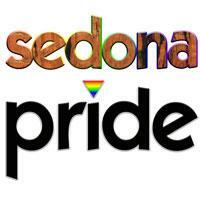 Sedona/Verde Valley Pride's educational and fun Free 2B You Festival is happening the last weekend in September. This festival is to celebrate diversity, educate, and raise money for our scholarships for LGBTQ youth. Many times when a teenager comes out as LGBTQ, they lose support from their families, so our scholarships can help them further their education and gain self confidence. You can help by volunteering to make sure our festival is a big success! You can choose the Festival Operations/Entertainment Committee, the Vendor Committee, or the Sponsor Committee. Use your talents to help others! Thank you for your support!